Horne Bay Farm is bringing back the beloved tradition of farm life to a new generation- offering a rare opportunity for kids to interact face to face with farm animals. This hands-on educational experience in Fair Bluff, NC shows everyone from young to old how life was, and still is lived on an American farm. Visiting the farm makes for a fun-filled day with the opportunity to touch, see and have an up close experience with American farm animals – while also taking an exciting hayride, exploring the barn, milking a simulated cow and more! 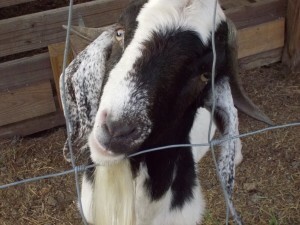 Horne Bay farm is not a petting zoo-it’s an educational farm teaching about farm animals and farm life. Surveys show that 7 out of 10 people have never milked a cow, touched a goat or seen a newborn baby farm animal. Horne Bay Farm gives visitors the opportunity to experience what it’s like to live on a working farm. Visitors of all ages can take a guided tour of the farm and enjoy the beautiful view of the ponds and pastures while eating lunch in the open air pavilion. Come have fun on a tour, bring a lunch and enjoy nature’s tranquility! Come be a Busy Bee Explorer! The price is $6 for students, Teachers and Aids receive free admission! Teacher should also check out our Curriculum Guide!